for children in need in the school district. 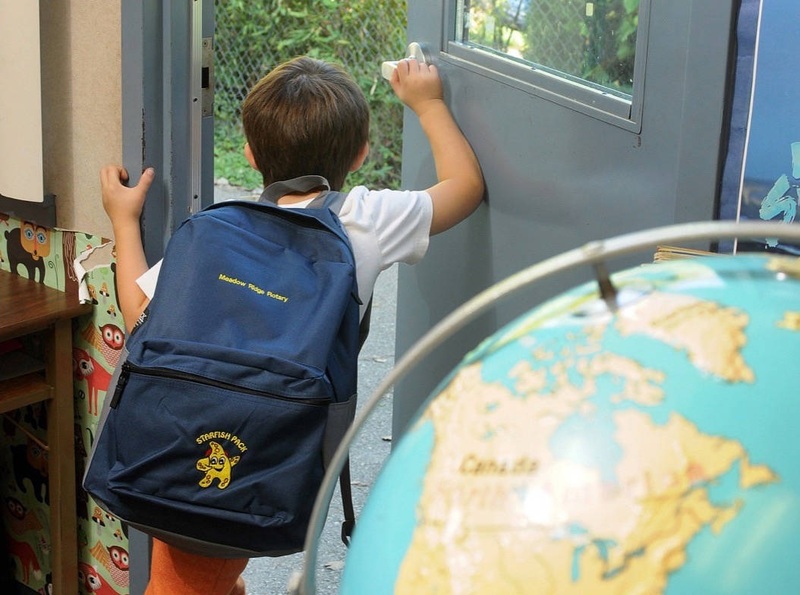 The Starfish Backpack program has expanded to seven schools across Maple Ridge and Pitt Meadows. This year, Eric Langton elementary will be participating in the program, which provides food to children identified by schools so that they don’t go hungry throughout the year. Special backpacks supplied by the Meadow Ridge Rotary Club are filled with enough food for two breakfasts, two lunches and two dinners, plus snacks on weekends by volunteers at Burnett Fellowship Church before being delivered to the participating schools. On Sept. 29, the first backpack distribution day, there will be 21 filled backpacks for students at Eric Langton that are currently involved in the school’s breakfast and lunch programs. And this number is likely to go up. 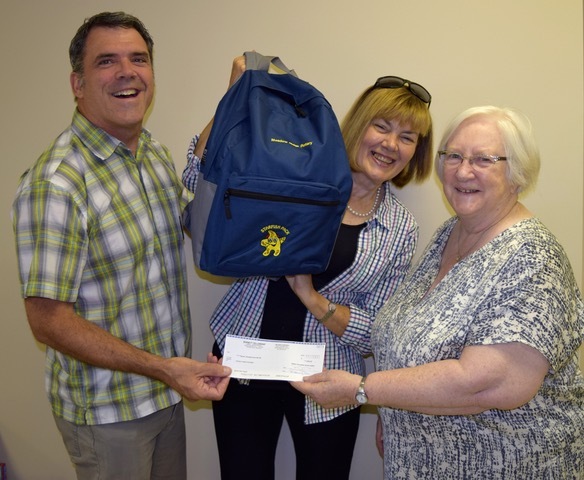 “We were trying all last year to distribute backpacks there,” said Ineke Boekhorst, with Meadow Ridge Rotary, which launched the Starfish Backpack project in Maple Ridge and Pitt Meadows at the end of September last year. She said that over the summer many groups fundraised specifically to include Eric Langton in the Starfish program because it is an inner-city school and has the biggest need in the community. “I was told last year they needed between 50 and 60 backpacks, which is more than we were handing out in total to the six other schools,” said Boekhorst. Each backpack costs $525 a year to sponsor. Burnett Fellowship Church held a garage sale in support of the program during the summer and Starfish cookies were sold at the Haney Farmer’s Market to raise money, as well. MeadowRidge Rotary Club President Libby Nelson and Starfish Backpack Chair Ineke Boekhorst, receiving a cheque for $15,000 from Pastor Paul Olson of Burnett Fellowship Church. This represents the amount the church community raised through a variety of fundraisers throughout the 2017 summer months. THANK YOU Burnett Fellowship Church, your continued support is so much appreciated by our local hungry kids! In total, 53 backpacks will be going out to the seven schools in both communities. Last year at the same time, only seven children were being served at one school in Maple Ridge. By the end of the school year, that number jumped to 37 children in six schools in the school district. Boekhorst says the program is in need of continuous funding. “Throughout the school year we usually have the schools phoning us going, ‘Oh my gosh, we have two or three more kids. Is there funding, can you distribute more?’” she said. St. George’s Church will be holding a Fall Fair from 10 a.m. and 1 p.m. on Sept. 30 with all proceeds going towards the Starfish program. There will be children’s activities including balloon animals and face painting, a bake sale, fair trade coffee, attic treasures, handmade cards, pie and ice cream, hot dogs and a Christmas corner. The church is located at 23500 Dewdney Trunk Rd. in Maple Ridge. • To donate online, go to starfishpack.com.